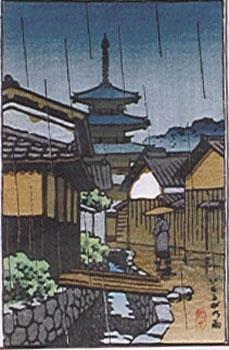 Kawase Hasui "Rain over the Pagoda"
C. BARRY HILLS "Quiet Time"
Miro "Lithograph III, Tav. II"
© Sola Gallery. All Rights Reserved.